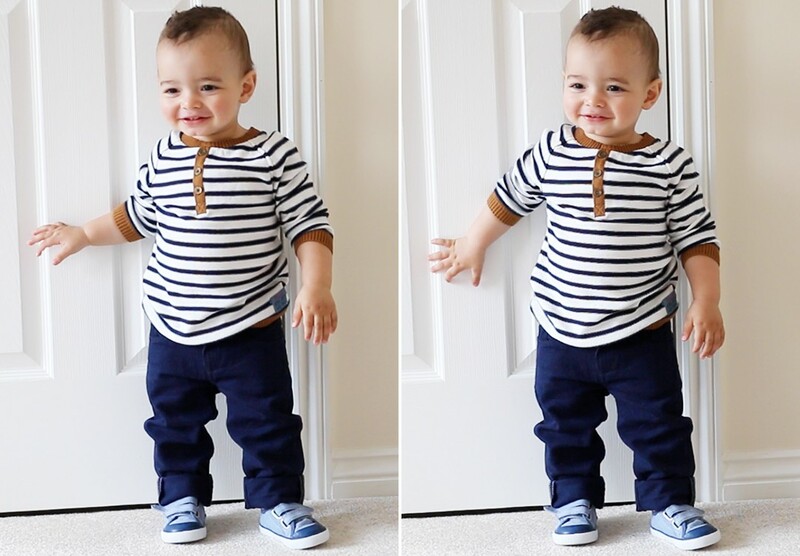 Before having a little boy, I never thought I would be so excited about kids fashion, especially for boys. There are no tutus, no glitter and no pretty bows. 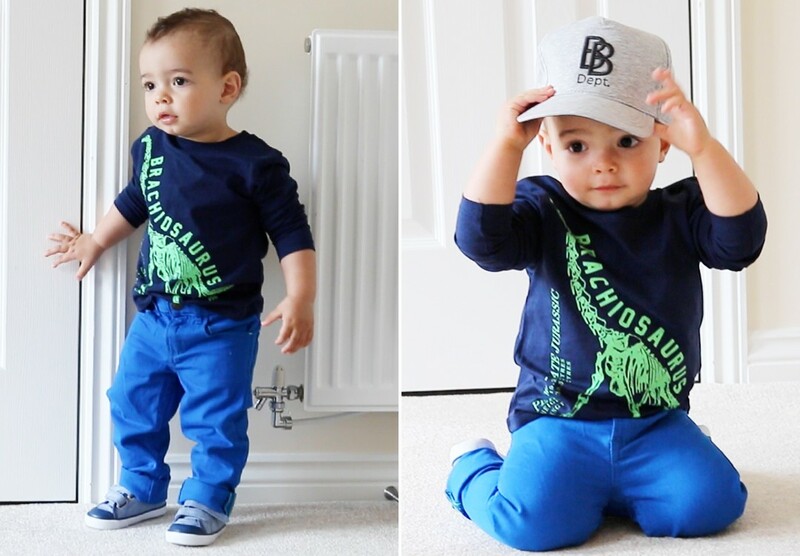 But there’s something about dressing my little man to look as scrumptious as possible that I can’t resist – even if boy’s clothes are full of dinosaurs, monsters and all sorts of boyish things. 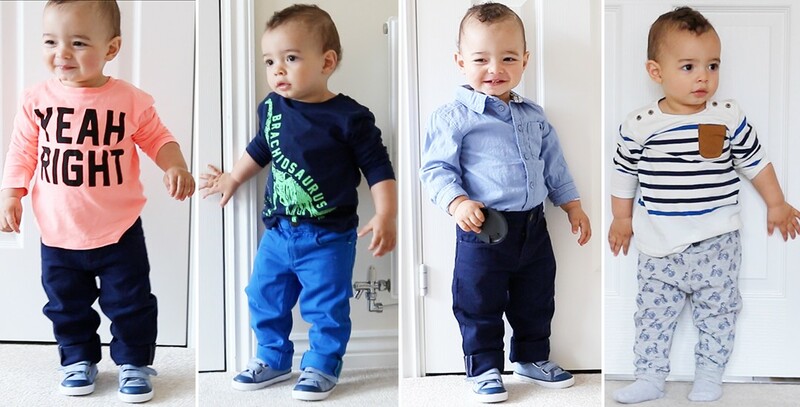 As we know, children outgrow clothes and shoes before they can wear them a handful of times, so I try to be as savvy as possible when it comes to buying new clothes for James, without compromising on quality. H&M is one of my favourite high street shops. My wardrobe is full of H&M basics because they are so durable, they fit really well and they don’t break the bank. And James is following on his mummy’s footsteps, as I tend to love their kids section just as much as the adult section. To make it even better and more irresistible, H&M’s Top & Bottom deal for £6.99 is back for Autumn 2016! That’s right, you can mix and match any top and bottom within the deal and grab a wardrobe full of autumn essentials for your little one for a total bargain. This is exactly what I did a few days ago! There was a lot to choose from, so I chose pieces that were cute and versatile enough to be able to match with lots of different colours. Autumn in the UK can either be quite chilly or warm enough for a lightweight top, so I picked items that are easy to layer up so I can keep James dressed appropriately whatever the weather. I love how the clothes feel really good quality and they wash well without going bobbly, stretching or shrinking. You can probably tell by looking the pictures how much I like stripes! I was pleased to see lots of striped clothes in H&M; some quite traditional and others more modern, so I grabbed a bit of both. I did get a bit carried away and added a few pieces from the Autumn collection that weren’t within the £6.99 Top & Bottom deal, but still weren’t all that expensive and totally worth it. 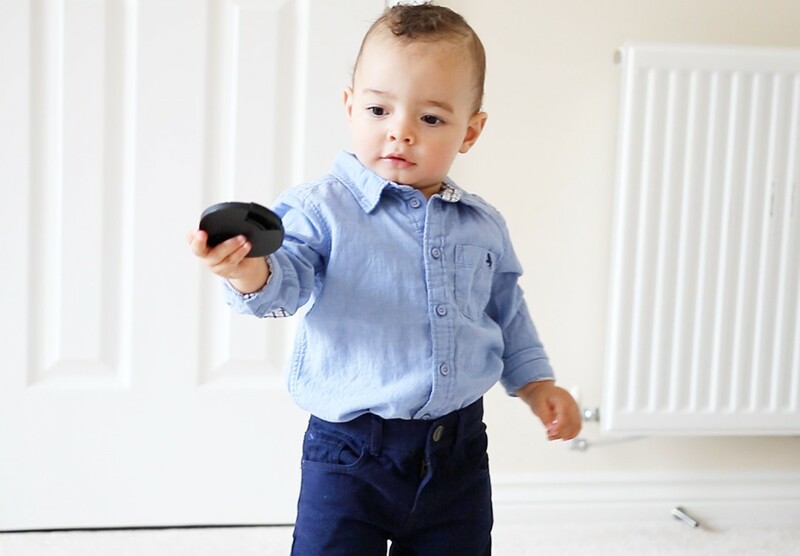 If you want to see the full lookbook, then head over to my YouTube channel or click here to watch my Toddler Haul & Lookbook video. James was such a good boy modelling all the clothes! 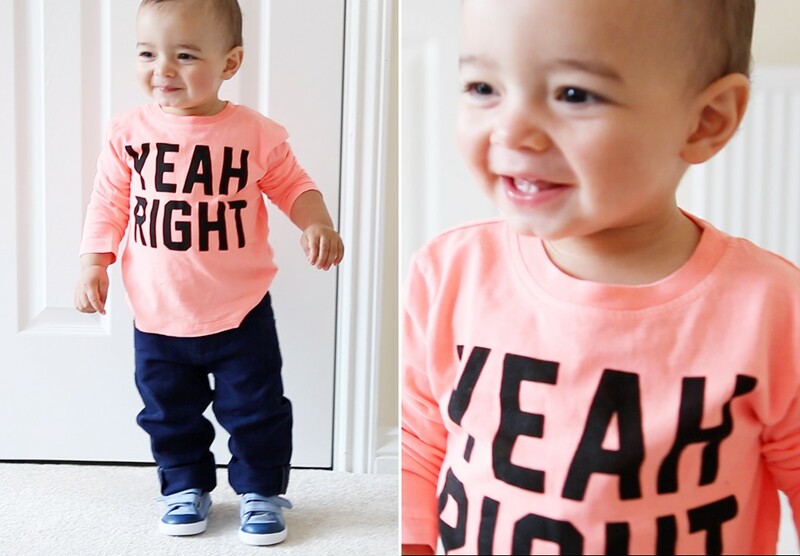 How cute is that cheeky little boy? 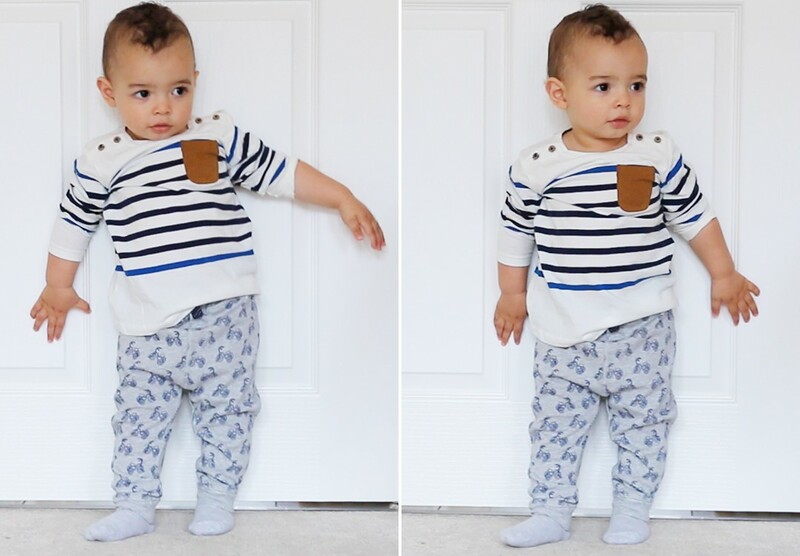 I know I’m biased but I think he looks utterly adorable in these shots! Don’t forget to check out H&M’s £6.99 Top & Bottom deal for your kids this Autumn. 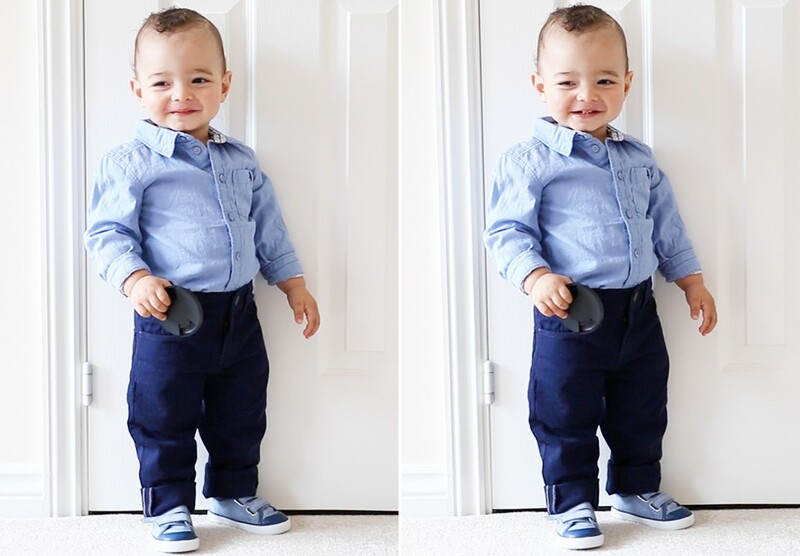 It’s great value for money and you will find lots of cute outfits for the little ones. The deal and the Autumn collection are available online and in store from the 11th August 2016. What do you think of H&M Top & Bottom deal? What was your favourite outfit? The new H&M Kids Autumn Fashion collection is available in store and online from 11th August 2016. This includes the Top & Bottom Deal from just £6.99! James is such a handsome boy! 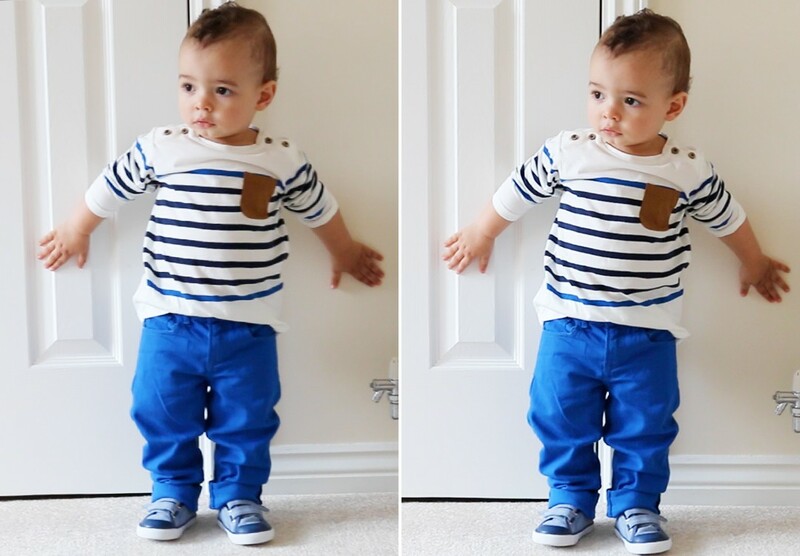 Zachary was dressed head to toe in H&M when he was a baby/toddler. I still shop there a lot for kids essentials for both Zac and Mia. Amazing quality, fab designs and great prices.